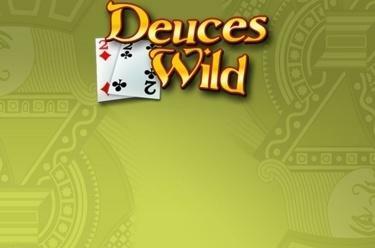 Play Deuces Wild online for free now! Deuces Wild is a video poker game with the Two as Joker. The joker can replace any card and can conjure up one or another suprising winning hand for you. 52 cards of a standard set are the basis of the game - 4 Twos and 4 Joker cards alltogether. Because of the Joker cards new and exciting hands are possible like a 'Five of a Kind', which consists of 5 matching cards or 'Four Deuces' - the Joker quad. Your aim: Achieve the highest possible 5 card hand!